If you asked 100 translators or interpreters to describe their first days in the industry, you would probably get 100 different answers—or at least some very entertaining stories. If you want to become an accountant or an attorney, there is a clear path ahead of you. But if you want to become a translator or interpreter in the U.S., you will need to do some of your own path-finding, hopefully with some help from those who have gone before you. On the first day that I thought of myself as a translator, I sat at my kitchen table with my baby daughter and the phone book (remember those?) and started cold-calling translation companies. I had a master’s degree in French and I loved to write, so I felt confident that I could do the job, but I had no idea how to launch or run a successful freelance business. Did I need some kind of certification? What kinds of clients would take a chance on a newcomer? How much should I charge? Were there really people who “made it” as freelancers and did not have to depend on a backup income? After more than a decade in the business, I am very, very glad that I persevered through those difficult first years, but I also realize that I made a lot of mistakes. 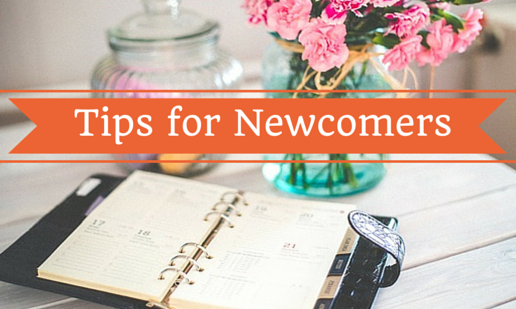 If you are a newcomer to the profession, here are some tips, cautionary tales, and (hopefully) some sources of inspiration for you. Starting up will take more time and effort than you think. I receive inquiries from frustrated beginners on a regular basis, and they often read like this: “Dear Corinne: I am really struggling to establish my freelance business. I’ve sent out 25 résumés in the past two months and have received only one response. I am extremely discouraged and wonder if this job is for me.” Everyone’s mileage varies, and if you translate a high-demand language or specialization, clients may be clamoring for your services right away. But in general, your startup phase will last at least a year, and that is if you are working full-time or close to it. Count on at least six months during which you are primarily or exclusively marketing and networking, then at least another six months of very irregular income before you depend on your freelance income to support you. In my case, I applied to over 500 potential clients during my first year in business, and it still took me over a year and a half to replace the income from my previous full-time job. Forget about the phone book, but do not overvalue the Internet. It turns out that on my first day as a translator, I had a tiny shred of the right idea. While I would not recommend cold-calling potential clients (and I no longer own a phone book), I think that person-to-person contacts are the most valuable resource in a freelancer’s marketing arsenal. Look at it this way: if you do not have much work, you have a lot of time. So, ask every potential client in your local area if you can take one of their employees out for coffee or lunch, “to learn a little more about their business.” Treat the meeting as just that, a way to find out what this agency or direct client does, and how you might fit in. Even if you apply to clients online, you can set yourself apart from the herd through personal touches. Whenever you get a positive response from a prospective client, follow up with a handwritten thank-you note and business card. When you meet a really successful translator—the person you want to be when you grow up—offer to interview her or him for a translation industry publication, and then ask all of the questions that you want answered! You do not know what you are doing (yet), so surround yourself with people who do. One of the wisest things I did during my startup phase was to join the Colorado Translators Association. In that group, I found a lot of real, live, successful freelance translators who assured me that there was plenty of work out there if I actively looked for it. They gave me great ideas on how to get an “in” with potential clients, and when I established myself as trustworthy and competent, some of them referred their overflow work to me. During my second year of freelancing, I saved enough money to attend ATA’s Annual Conference, at which I met even more translators and my first big clients. Remember this: most people love to be seen as experts, and experienced translators love to feel that they are passing on their years of wisdom and experience to the next generation of language professionals. So take advantage and get involved in ATA and your local translators or interpreters association, and put on your listening ears. But … do not believe everything you hear, especially if it is negative. It is always hard to know whose advice to trust, and not all of the advice you will receive is reliable. Here are two examples. A high school classmate who speaks French and English recently told me that she had always wanted to be a translator, but a college professor told her that she had to know more than one foreign language in order to find work. When I was starting out as a translator, a friend of a friend who had worked for a translation company told me that she was not surprised that I was having trouble finding work because, “there wasn’t much of a need for into-English translators in the U.S.” My current students often mention receiving this type of well-meaning but misinformed advice (e.g., the market for a certain language is “completely saturated”; it is next to impossible to find clients who will pay real money for your services; etc.). So, if a piece of advice sounds fishy to you, or if you have a sense that you have landed on someone who is unnecessarily negative about our industry, make sure to verify their advice before you follow it. Entry-level clients come in many different forms. Nearly every beginning translator or interpreter wonders how to find those first few elusive clients, especially those who will take a chance on a new person. Many agencies require several years of experience, some type of certification, or both. So, I think that the two main options are at nearly opposite ends of the market: large agencies with huge volumes of work, and high-end direct clients whose main concern is quality. The middle of the market is a tough place to carve out a niche because it is very crowded. Lots of translators with similar qualifications, availability, specializations, and rates are fighting to win business from many of the same clients. So, go in a different direction. Large agencies are always looking for new translators because they are in a high-volume, fast-turnaround business. If you can manage this kind of fast-paced, deadline-driven work, it can be a good way to get some experience and decide what specializations you want to target when you move on to other types of clients. Another good option, especially if you already have experience in an in-demand specialization, is high-end direct clients whose only concern is the quality of the translation. Before you target them, you have to be very, very confident that your translations are excellent. Realistically, many beginning translators and interpreters are not at the level of quality that direct clients want and need. But if you are sure that you can do the job, direct clients may (interestingly enough) be less concerned about years of experience, certifications, translation memory software, high volume, and other issues that may come up in the agency market. Before accepting an assignment, ask the right questions. When clients finally start responding to your inquiries, it is tempting to say yes frantically without even knowing what the job involves. First, slow down. If the potential client is an agency, check its rating (every single time!) with services such as the Better Business Bureau (http://www.bbb.org/) or Payment Practices (http://www.paymentpractices.net/). Keep a checklist of questions to ask before the project starts. In what format is it? What is the subject matter? What is the deadline (always specify the time zone)? Does the client have any reference material or existing translations? Always specify the rate in writing. If the rate is per word, always confirm whether the source or target word count will be used. Never accept a translation without seeing (preferably) the entire document you will be translating, or at least a sample of the text. What is the subject matter of the assignment? How many hours or days will the assignment last? Will the interpreting be simultaneous, consecutive, or both? Will equipment be provided, and if so, what type? Does the client pay for travel and waiting time, and if so, at the same rate as for interpreting time or at a different rate? What is the client’s cancellation and no-show policy? Will the client provide a partner interpreter if you need one? How and when will the client pay you? The key is to ask the right kinds of questions. You do not want to waste a client’s time or look uninformed by asking questions that are obvious, pedantic, or paranoid, but you do want to make sure that the project is within your capabilities before you say yes. When in doubt, just work harder. Experienced translators have a lot of advantages you do not. But I will let you in on a secret: experienced translators also get picky, complacent, and maybe even a little lazy when it comes to landing new clients. When a client needs a big assignment completed on Saturday night, or has a nasty, handwritten document that will take hours to decipher, or needs someone to proofread a 10-page list of numbers, many experienced translators will run the other way. If they have developed their businesses effectively, experienced translators do not need to say yes to these types of projects, especially if they are not from regular clients. So you, the scrappy newcomer, get to come in and save the day so that the client can leave the office with the confidence that the project is all set. And then, because you saved the client’s hide on that project, they are likely to call you again. In my opinion, many beginners focus so much on working smarter (expensive software, advertising, paying someone to apply to clients for them) that they ignore the most time-honored way of launching a successful business: working their tails off. It always surprises me when people comment that “It must be so hard to make ends meet as a freelancer.” In reality, I think that it would be impossible for me to find a fulltime job in my local area that would offer the same level of income and flexibility that I have as a freelancer. Working for yourself is an opportunity to create your ideal life, so seize it! Consider this: what if you applied for a full-time job and the human resource person told you that the company did not offer paid vacation, sick time, health insurance, a retirement plan, performance incentives, continuing education or training, overtime pay or comp time, not even a holiday party or summer picnic, and that you would be expected to use an ill-fitting, uncomfortable desk and chair and work amid dusty piles of books and papers. It may seem laughable, but these are the conditions under which many freelancers work for years on end. A wise entrepreneur once said that self-employment means working 60 hours a week for yourself so that you do not have to work 40 hours a week for someone else. At the end of your first year as a freelancer, if you feel wrung out, as if you have given every ounce of your energy, creativity, brain power, and tenacity to this endeavor, you have done it right.